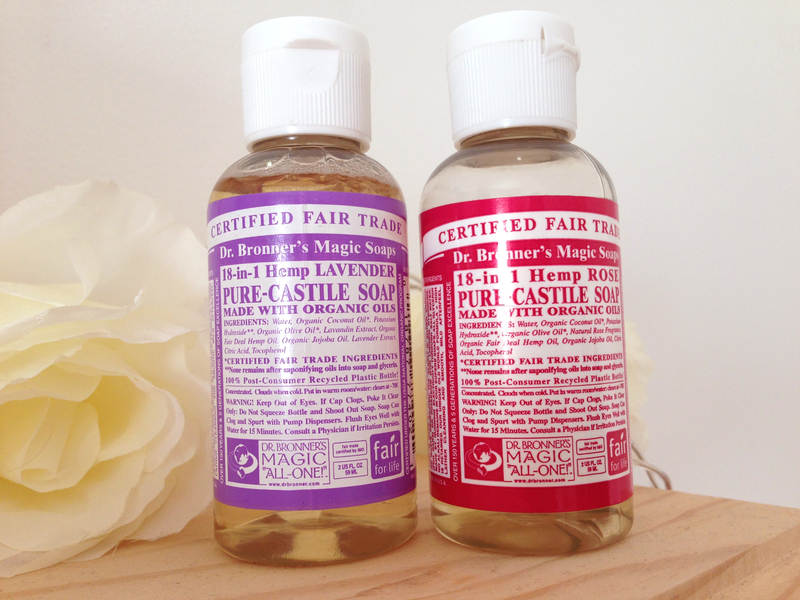 I first became aware of the legendary Dr Bronner’s Magic Soaps when I was shopping for eco-friendly products before I went to live in the Amazon Rainforest for two months. We’d been instructed to find bio-degradable natural bodycare and laundry products because the water was pumped back into the river without much filtering, and also when the weather was dry we had to wash in the river instead of using water from the tanks (the Rio Madre de Dios in Peru if you’re wondering). Obviously damaging the eco-system kind of defeats the object of volunteering for a conservation charity. Anyway, I ended up not buying any shower stuff because my mum happened to bring a load of bio-degradable soap and shower gel back from a hotel, of all places. Hair care was another matter entirely (a ‘five shopping trips later’ kind of matter) though. My interest was piqued, so when I saw some mini bottles in Whole Foods I picked up a Rose and a Lavender, my two favourite scents (no, I’m not your Grandma, I am in fact a twentysomething but I firmly believe in the wisdom of Grandmas the world over). I really liked them, though they did leave a very soapy feeling afterwards. Perhaps its because I live in a hard water area? I’m looking at an overview of Fleck water softener products and I have no idea how that would affect it, but anyway. It’s probably just that I’m not used to using a pure soap, and gravitate towards creamy washes and things. Not that there’s anything wrong with those, but I think they do leave your skin feeling different. One thing I like about this brand is how they don’t shy away from their enigmatic roots and feel no shame in identifying as hippies! So many natural brands try to cover this kind of thing up, I even know of one company that won’t let images of plants be used while promoting their (100% natural) products! Companies do this because they want to be seen as mainstream, as lots of consumers assume that natural stuff will smell weird and won’t work. This is such a huge mistake, as how are consumers ever going to learn about the importance of natural cosmetics and skincare if not even the people selling it to them will talk about it?! 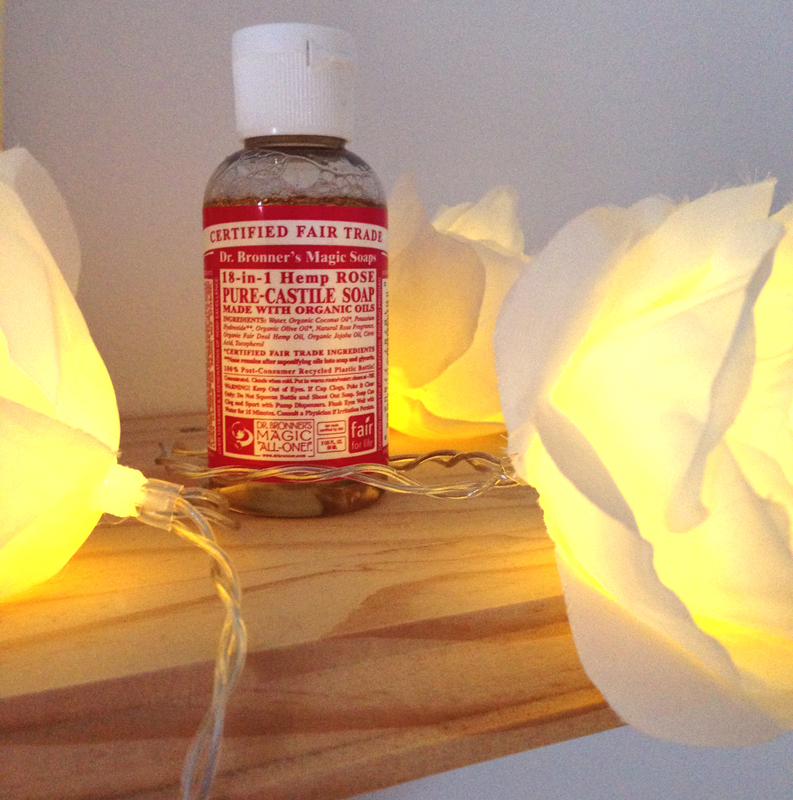 So its really refreshing to see Dr Bronner’s embrace it completely, plastering their website, social media and even the products themselves with all their green credentials. I mean, some of their stuff is a bit intense for me, but they love the planet and there’s no shame in that. I opened the Rose one first, and was surprised because the rose scent is quite subtle. I actually think this smells like Pimm’s – which as far as I’m concerned is a wonderful, wonderful thing. Imagine how Pimm’s would smell but take away the whiff of alcohol and replace it with rose. It’s really, really nice. And the scent doesn’t stick so its just a pleasant experience while washing – you don’t need to worry that people will think you’ve been hitting up the liqueur cabinet! I used this one as a hand soap, and I found that as I used it up I was reaching for my hand cream less and less – a very big deal as my hands are the driest of the dry. We have a nasty chemical-laden antibac soap now and the difference is palpable. I will definitely get some more of this for handwashing! Unlike the Rose, the Lavender smells exactly like lavender. In fact, I think this might be the most lavendery-smelling product I’ve ever used! There are some products out there that just don’t have the depth of scent that the pure extract has – like the rest of the ingredients are affecting the essential oil somehow. Not so with this! It’s lovely, and again leaves you nice and moisturised. Both soaps lathered up really easily I found, and I even used one (I forget which but I suspect it doesn’t matter) to clean the loo, to great effect! 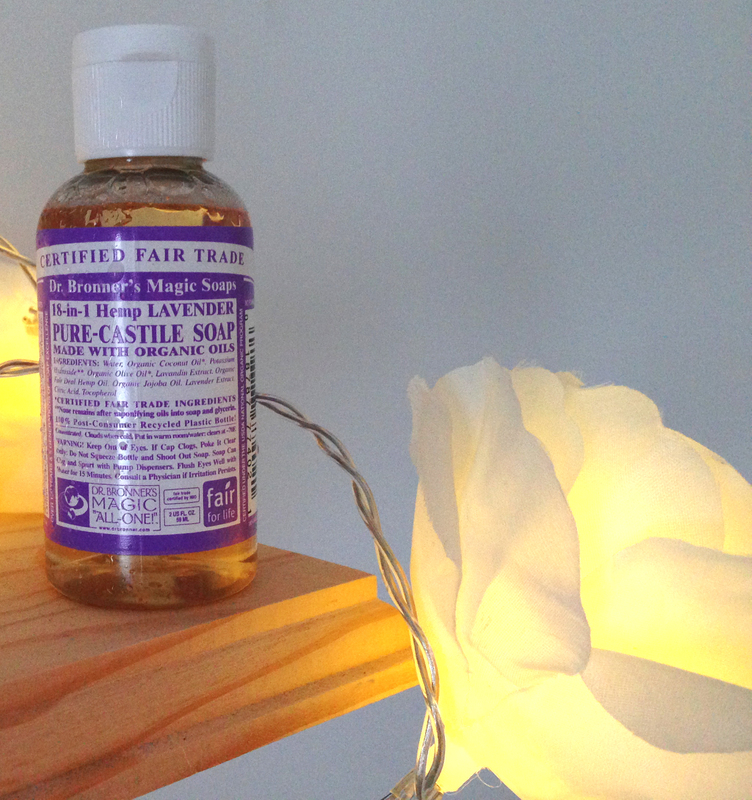 I think Dr Bronner’s is a great brand to give your money to, they’re environmentally responsible, ethical traders, campaigners…plus their soaps are lovely. These mini bottles are great for travelling too, they’re about 60ml. This entry was posted in Natural skincare, Skincare and tagged bodycare, Natural skincare, Skincare. Bookmark the permalink.